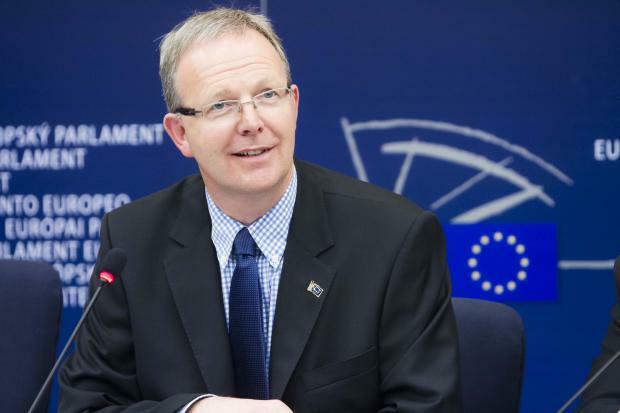 At his first public hearing as rapporteur on the file, German CDU lawmaker Axel Voss (EPP) said Thursday (13 July) that he would keep working off of the version of the bill drafted by Malta’s Therese Comodini Cachia, a former Nationalist Party lawmaker (EPP) who left the Parliament last month to take up a seat in Malta’s legislature. He was picked to take Comodini Cachia’s place in the copyright negotiations a few days after she announced she would leave. Voss is tasked with sifting through close to 1,000 amendments that MEPs proposed to change the copyright bill in time for a vote in the Parliament’s Legal Committee (JURI) in October. The committee started discussing the copyright bill last year after the European Commission proposed the legal overhaul in September. On Thursday, Voss made it clear that his own views differ from Comodini Cachia’s. Some MEPs said that could mean the bill might still face more significant changes and tilt towards the new rapporteur’s positions. Just one week before Voss’ committee debut as the bill’s lead MEP, the Parliament’s EPP group published its own position on copyright that doubled down on some of the most controversial parts of the Commission’s proposal. 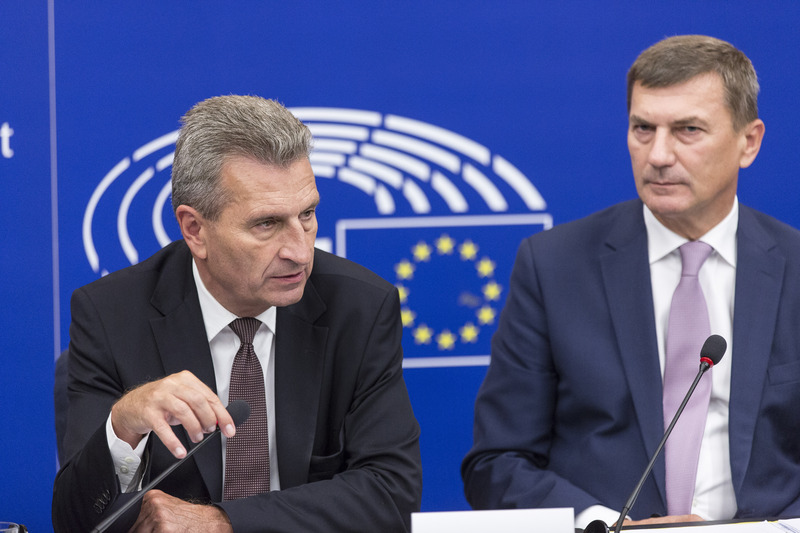 Günther Oettinger, the German CDU Commissioner who was in charge of digital policies up until January and oversaw the drafting of the copyright proposal, tweeted his support for the political group’s positions on Monday. He has been the budget portfolio since the beginning of this year. The party supports the executive’s plan to add a neighbouring or publisher’s right that would require online search engines to pay news outlets when they share parts of their copyrighted work. Voss backs that move. “A specific right for publishers provides more legal certainty regarding licensing and enforcement of rights,” the paper reads. “Our group is in favour of a genuine right for press publishers as proposed by the Commission,” it says. Comodini Cachia had softened that part of the European Commission’s proposal, which is at the centre of heated disagreement between MEPs, and between internet companies and copyright holders in creative industries like film and music. Her draft gives publishers the right to sue when their outlet’s work is wrongly used, but it does not include a special right to charge for use. The paper also says online platforms must be responsible for any copyright infringement that their users post. “We support the Commission’s proposal that platforms should in a broad sense be responsible for what users upload and should enter into licensing agreements with copyright holders,” Voss said during Thursday’s meeting. German Pirate Party MEP Julia Reda (Greens/EFA) questioned how Voss’ views matched up with his vow to follow the different approach in Comodini Cachia’s draft report. Reda said she did not want to “have the EPP position, which is really the Commission position, steamroll the smaller political groups with proposals”. She is one of 70 MEPs who signed an amendment asking to get rid of the measure creating a neighbouring right for publishers. The copyright law can only go into effect after the entire Parliament votes on the bill and then negotiates a compromise agreement with national governments and the Commission. The Parliament’s plenary vote is scheduled to take place in December. Juncker Commission officials have said they already notice that the switch to a new lead MEP last month had an effect on the Parliament’s handling of controversial parts of the bill. Two top Commission officials who drafted the proposal defended the bill during the JURI meeting. 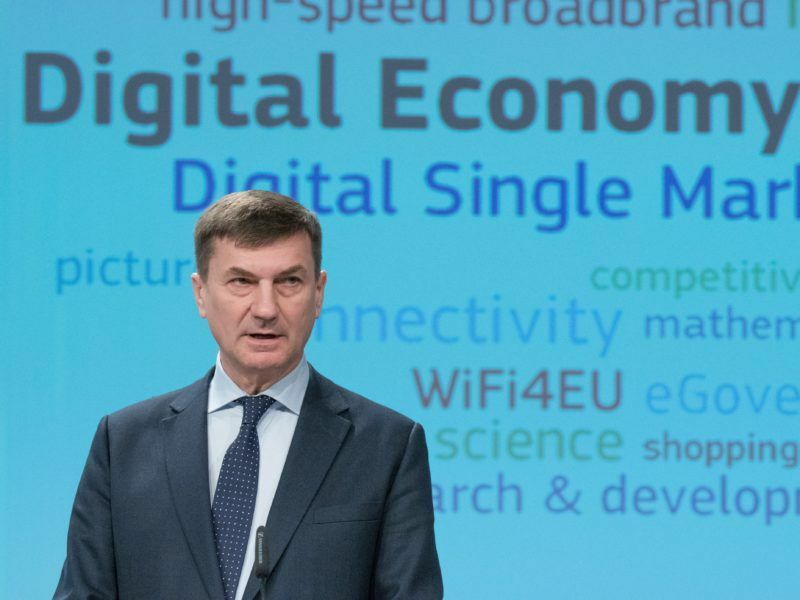 The neighbouring right for publishers is “good for the whole value chain” of journalists and photographers who work for media outlets, said Giuseppe Abbamonte, the director in charge of media at the executive’s technology policy arm DG Connect. “If this were to collapse because the business model cannot survive in the digital age, that is ultimately going to be very bad for citizens,” Abbamonte said. Only the work of non-professional journalists would still be shared through search engines, he argued. Reda and other critics of the neighbouring right have rebutted that claim.